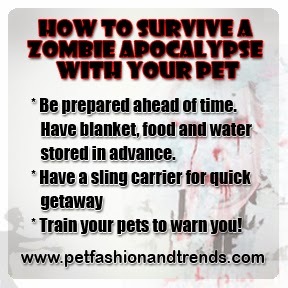 Pet Fashion and Trends Philippines: The Zombies are Upon Us!!! In the event that zombie apocalypse does happen, are you prepared? Will you be able to save your pets? And if you save them, how long can you outlast the zombies?